Welcome to Seoul, upon your arrival at Seoul International Airport, you will meet our representative, once your luggage has been loaded, you will be transferred to your hotel. Rest of the day at leisure. Overnight stay at hotel. Breakfast will be served at the hotel.We Will Proceed for half day city tour of Seoul to take an experience the past and present of Korea through Seoul Experience Tour which covers Jongmyo Royal Shrine, registered as World Cultural Heritage, and Changgyeonggung Palace which is one of the five major palaces in Seoul, as well as traditional restaurant, Nolbujip and the youthful, cultural streets of Daehangno. Rest of the day at leisure. Overnight stay at hotel. Breakfast will be served at the hotel. Rest of the day will be leisure. Overnight stay at hotel. Breakfast will be served at the hotel. Checkout from the hotel and adjust your personal bills. After that you will be transfers to airport to take a flight to Jeju. 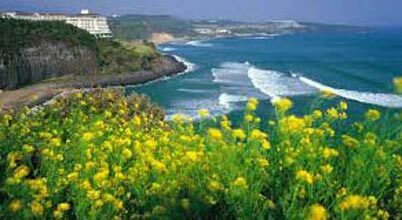 Arrive and check into your hotel in Jeju Island. Rest of the day will be leisure. Overnight stay at hotel. Breakfast will be served at the hotel. Checkout from the hotel and adjust your personal bills. After this transfer to airport to take your flight to India.